The first major trade book on solitary confinement brings together first-hand accounts of life in solitary with analysis by leading experts. Order now as a paperback, hardcover, or e-book. Now available as a paperback, hardcover, or e-book. President Barack Obama, Supreme Court Justice Anthony Kennedy, and Pope Francis have all criticized the widespread use of solitary confinement in prisons and jails. UN Special Rapporteur on Torture Juan E. Méndez has denounced the use of solitary beyond fifteen days as a form of cruel and degrading treatment that often rises to the level of torture. Yet the United States holds more than eighty thousand people in isolation on any given day. In a book that will add a startling new dimension to the debates around human rights and prison reform, 16 men and women currently and formerly former imprisoned in solitary confinement describe its devastating effects on their minds and bodies, as well as the solidarity expressed between individuals who live side by side for years without ever meeting one another face to face, the ever-present specters of madness and suicide, and the struggle to maintain hope and humanity in the face of crippling isolation and deprivation. 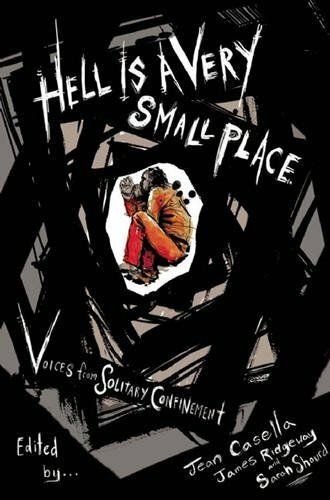 These firsthand accounts are supplemented by the writing of noted experts, exploring the psychological, legal, ethical, and political dimensions of solitary confinement. Solitary Watch’s James Ridgeway and Jean Casella provide a comprehensive introduction, and Sarah Shourd, herself a survivor of more than a year of solitary confinement, writes eloquently in a preface about an experience that changed her life. The powerful cover art is by renowned political artist Molly Crabapple. JEAN CASELLA is co-director of Solitary Watch, a web-based watchdog project, and a Soros Justice Fellow. Her writing on solitary confinement has appeared in The Guardian, The Nation, Mother Jones, and other publications. She is the editor of two previous anthologies and lives in Brooklyn, New York. JAMES RIDGEWAY has been an investigative journalist for more than fifty years and is the author of eighteen previous books. He is co-director of Solitary Watch and recent recipient of a Soros Justice Fellowship, Alicia Patterson Fellowship, and Media for a Just Society Award. He lives in Washington, D.C.